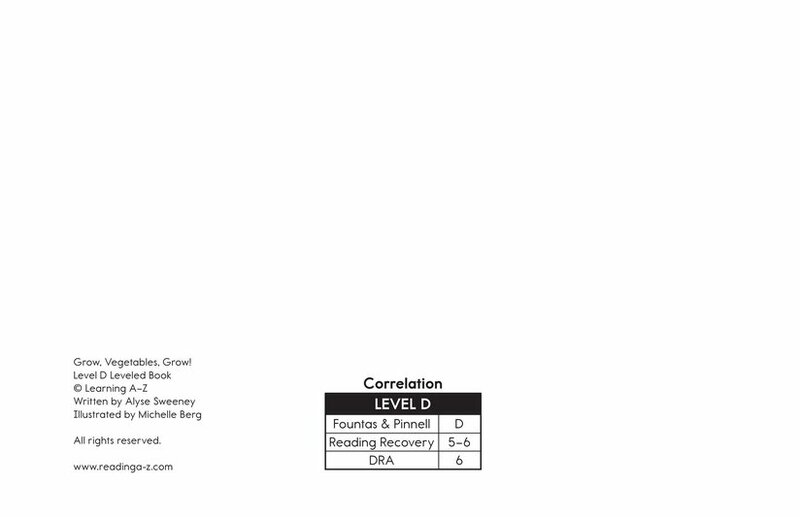 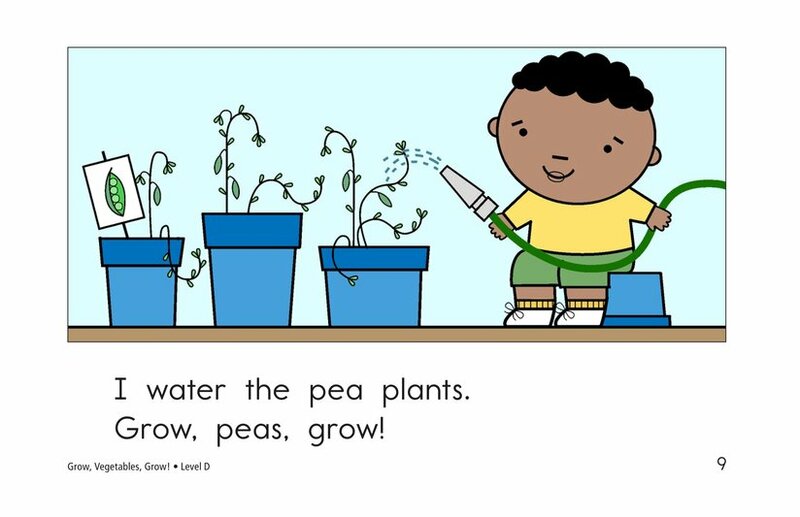 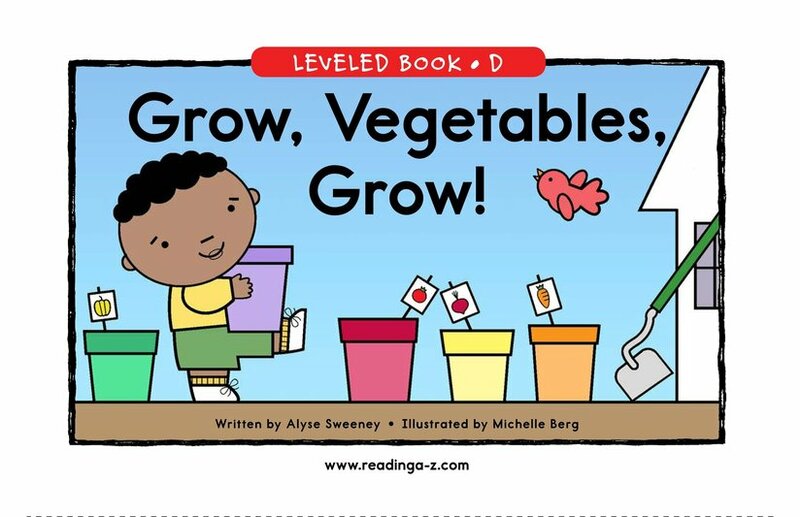 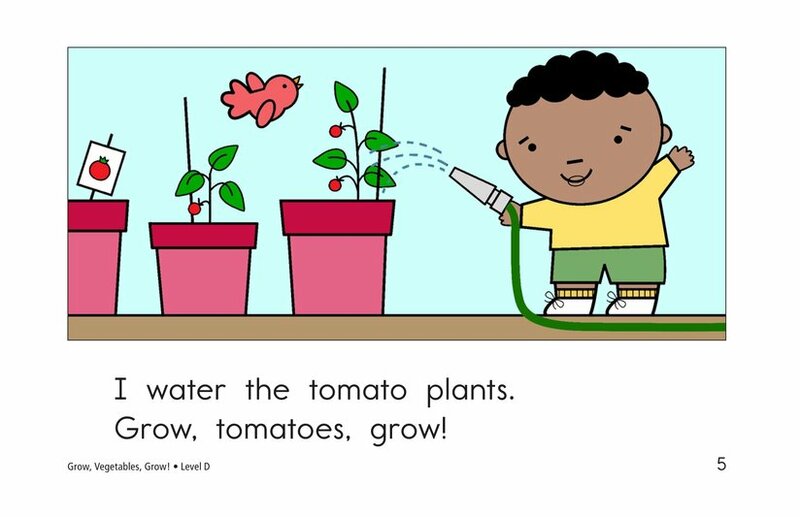 > Books > Leveled Books > Level D > Grow, Vegetables, Grow! 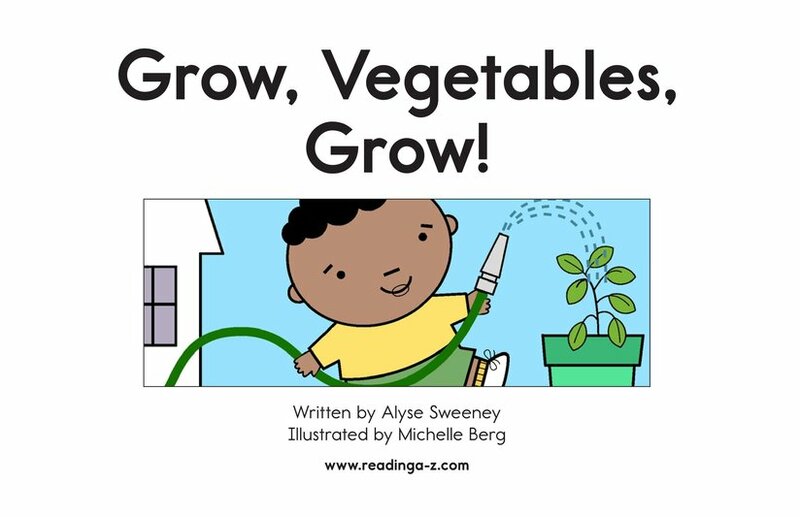 This book informs students of names and types of vegetables that can be grown in any garden, including a container garden on a rooftop in a city. 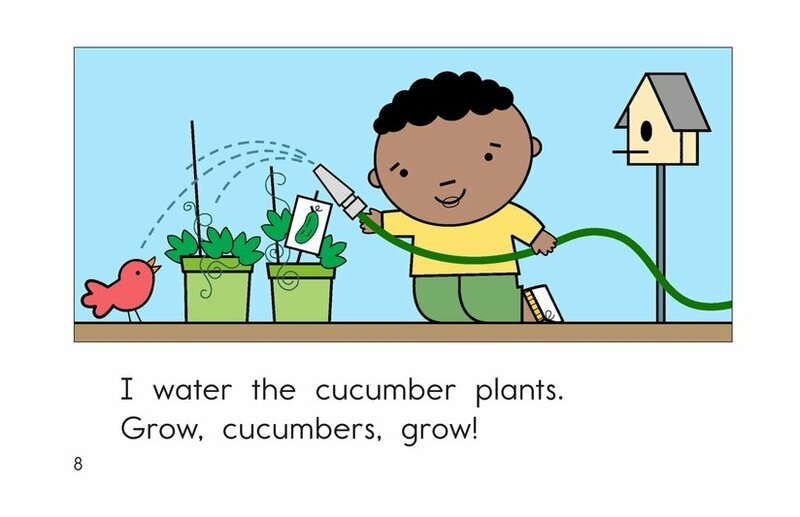 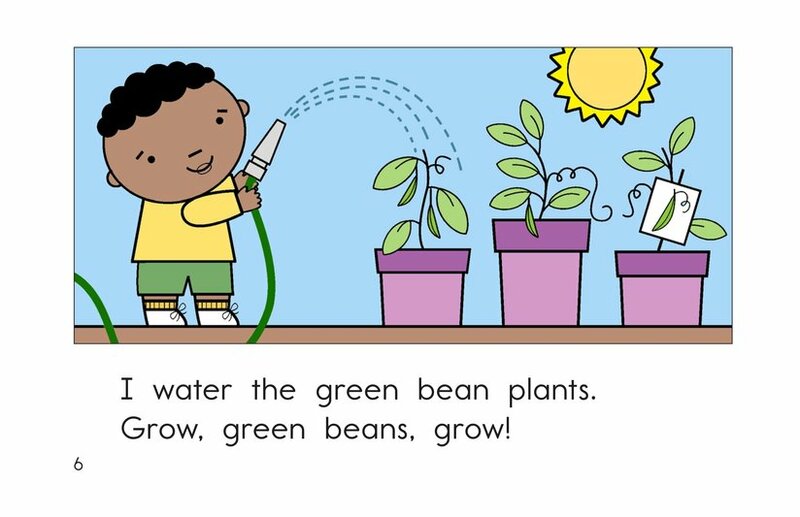 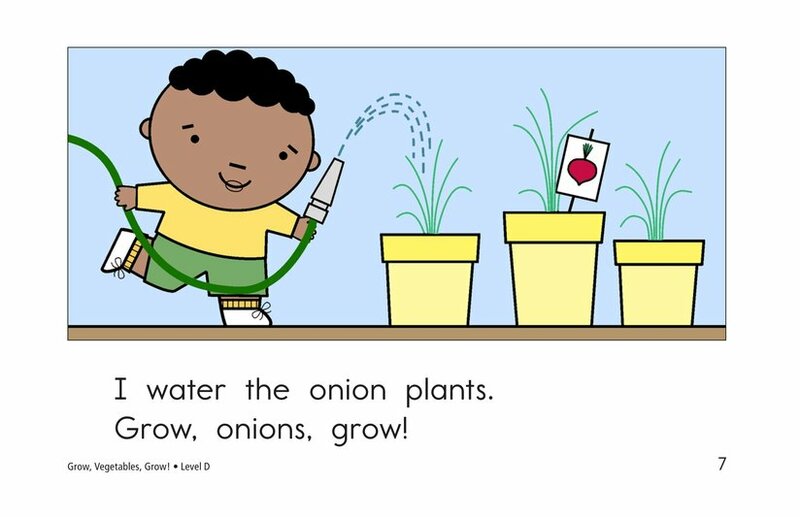 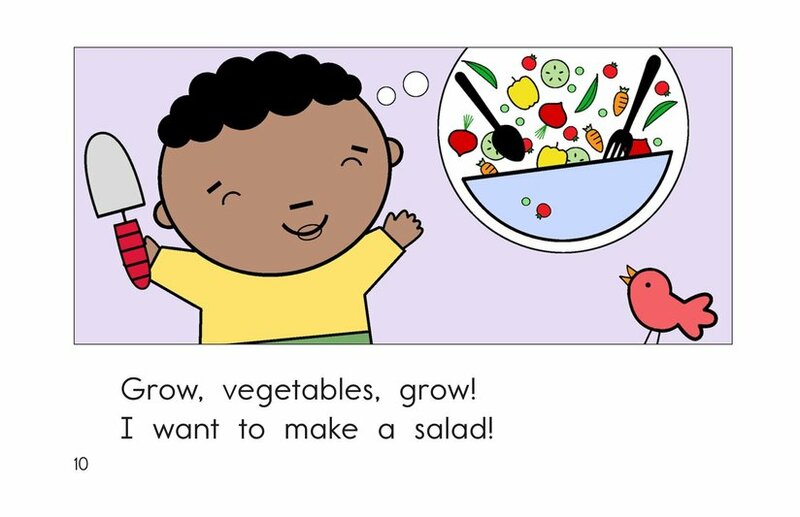 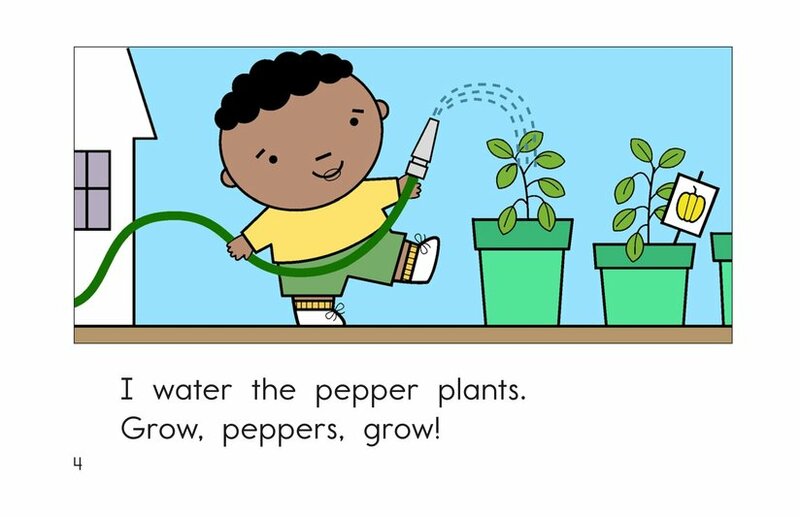 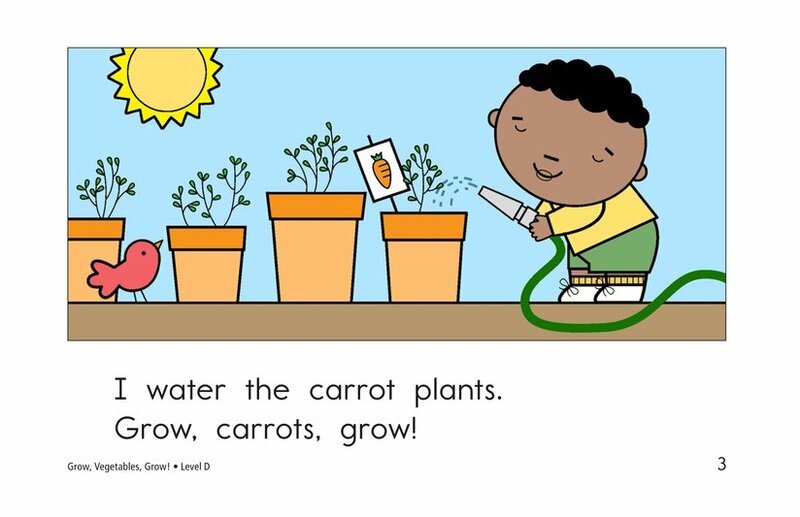 The young boy in the story waters his various vegetable plants daily in hopes of creating his own salad.